Apple CEO Tim Cook says big changes will be coming to the TV and video market in the near future. Apple intends to take advantage of those changes. 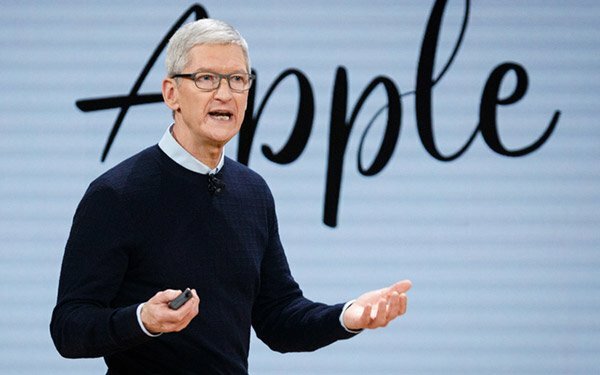 Speaking on Apple’s quarterly-earnings call Tuesday evening, Cook outlined a handful of ways in which Apple plans to play in that space, including the Apple TV device, selling third-party video subscriptions, and original content. One area the company intends to expand its presence in is selling third-party streaming services. Apple helped HBO launch HBO Now, and offers a handful of other services through its products. “We are participating in this [third-party video subscriptions] today, and I would guess that's going to accelerate into the future as the bundle breaks down and people begin to buy likely multiple services in place of their current cable bundle,” Cook said. Apple TV remains a niche product, lagging behind Roku and Amazon Fire TV devices in terms of distribution. However, the company has been trying to expand AirPlay 2, which allows smart TV sets to work with other Apple devices to stream content. The company announced deals with Samsung, Sony, LG, and Vizio to bring the technology to their TV sets in the coming months. Of course, it is Apple’s original content plans that are drawing the most attention. The company has ordered a wide slate of original shows, and Cook noted that the company signed a long-term deal with Oprah Winfrey. He did not offer additional details. “We've hired some great people that I have a super amount of confidence in and they're working really hard,” he added.